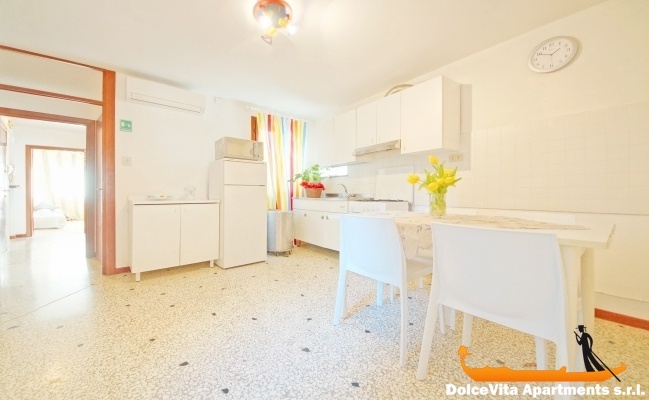 Apartment N. 175: It can accommodate up to 5 people, it is rented from 250 € per Night (not per person). 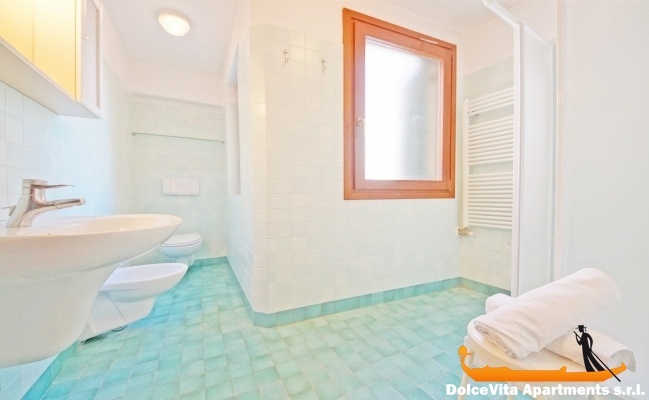 Venice Apartment Canal View for 5 People: Bright apartment in the center of Venice, in San Polo district, it consists of hallway, bedroom, kitchen, living room and bathroom with shower. Further to the three beds in the room (one double and one single) there is a comfortable sofa bed (double). 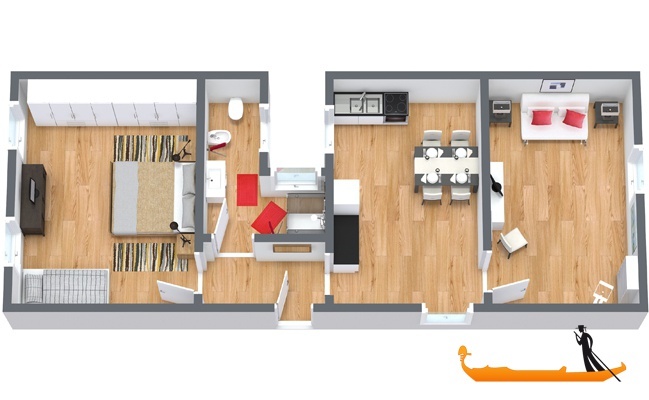 This apartment can accommodate up to 5 people. 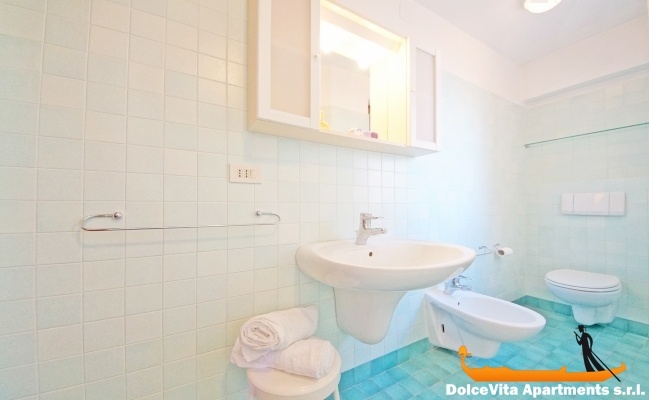 Thanks to its midmost position, it is ideal to visit both the main attractions of Venice (just a few minutes from Rialto Bridge and St. Mark’s Square), and toward the lagoon, it is only 500 meters from the railway station “Venezia Santa Lucia”. Perfect for families with small children, there are a cot and a high chair. 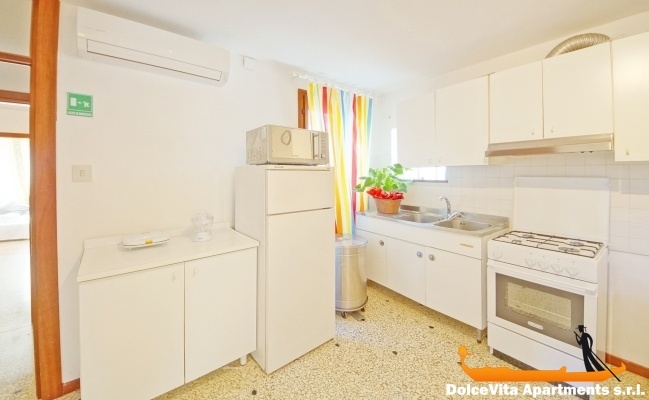 The kitchen is equipped with an oven, fridge, freezer, toaster and microwave oven. Available also washing machine and iron. Furthermore there are free Wi-Fi, plasma TV, air conditioning system and heating. Blankets, sheets and towels are included. Pets allowed. 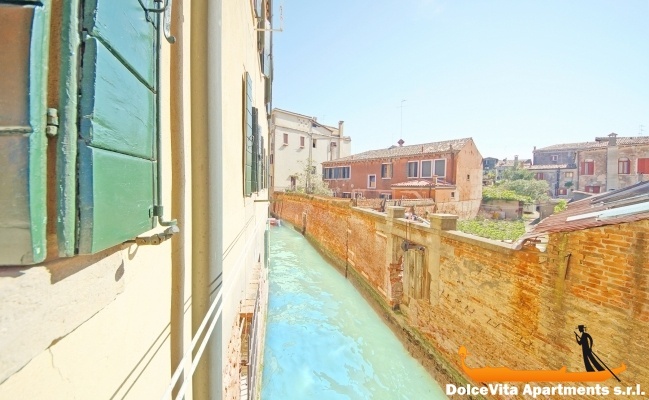 •The balance of your stay can be paid in cash on your arrival in Venice. Very clean, very quiet, very well placed. Very good service, everything went as expected. 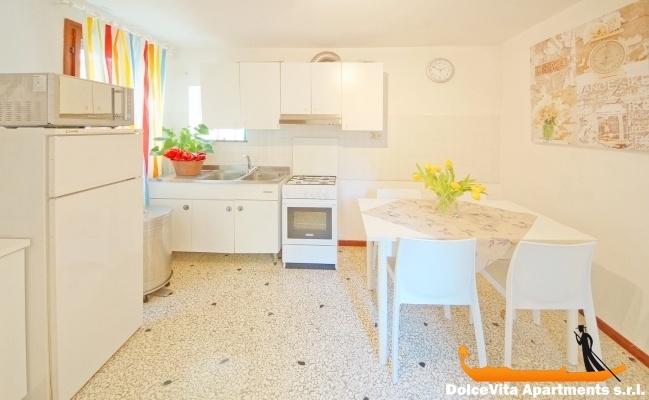 Apartment very well located in Venice, a small quiet street and apartment without noise !! Oasis of tranquility after busy days !! Basic products for the kitchen (salt / pepper / oil ....) much appreciated. We had a memorable stay! 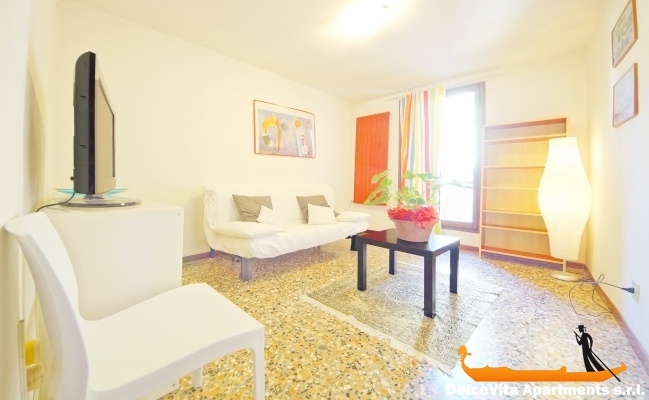 The apartment is very well located near the train station and 15 minutes from the Rialto. It is very well equipped and very clean. So 5/5. We really enjoyed our staying in the apartment you recommended No 175 clean, perfect size for a family, friendly owners and especially near the station and you will find yourself with a walk to San Marco and to Rialto! We'll recommend it!